All text by, and copyright of the Author. Photographs as acknowledged. Opportunities missed. 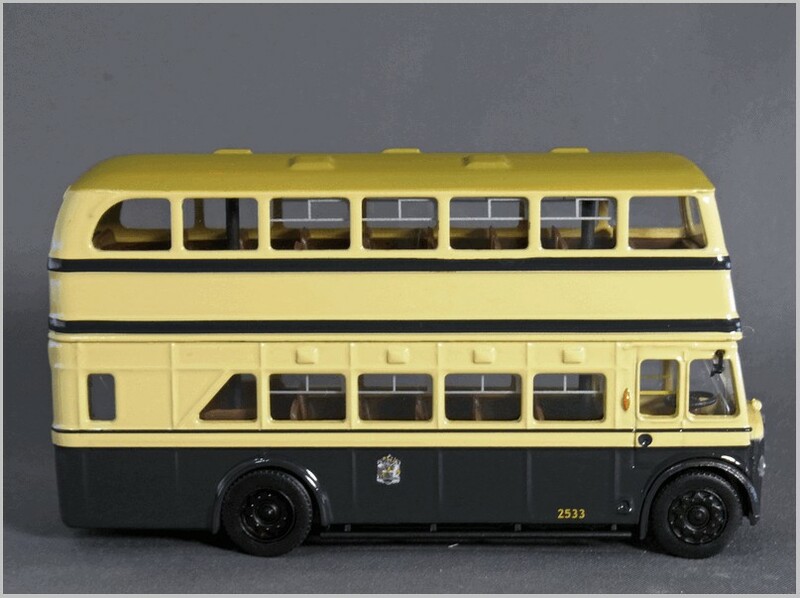 This thought came as I saw the beautiful Lansdowne model of the AC 16/80 in a friend’s collection. There are opportunities missed along the way for all of us. 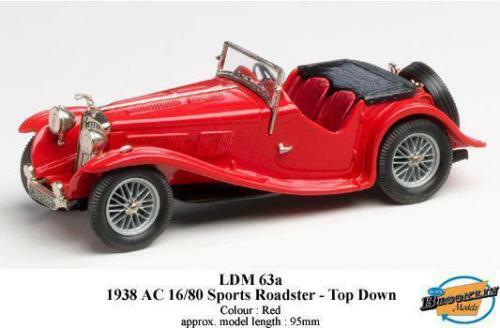 These thoughts concern mine about cars; real or models. The AC 16/80 I missed in real life stood in a garage in southern Portugal. Not as bright red as the Lansdowne model, but very impressive, and well looked after by the owner of the garage. This was in the mid 1970’s. A year or two after ’The revolution of the roses’ when a lot of well off people fled the country and left houses and cars behind, afraid that the ‘reds’ would take over. The first free elections were to be held. Prices – on everything – were low. ”You can have it for 15 thousand”, said the owner. In Swedish currency. The pound was very low those days (We just had to pay 6-7 kronors for one pound in 1976-77. Today it’s double that price. So it’s difficult to make an exact evaluation of that offer. But perhaps one thousand two hundred pounds – £1,200. Plus what time and inflation does of course. It was, however, a bargain. Still, it was a lot of money for me. 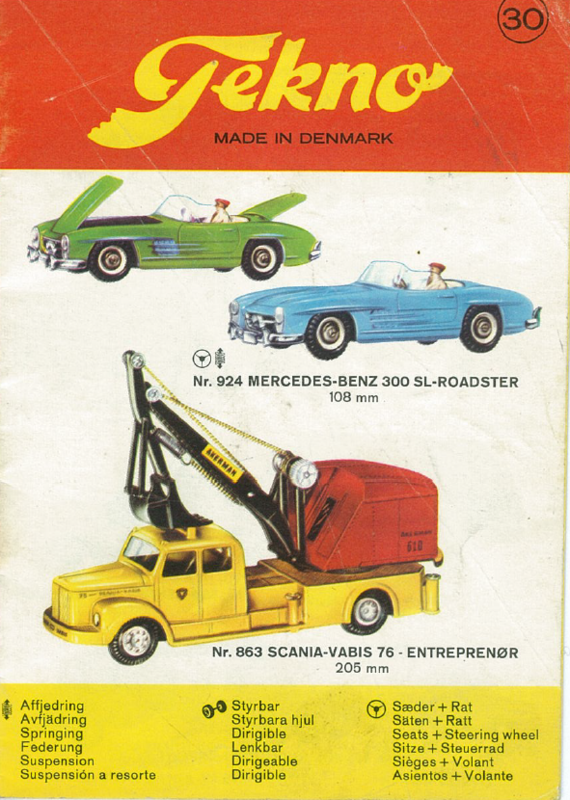 I tried to figure out how to get hold of the money and get it to Portugal (I was not easy to transfer big sums over the borders in a legal way ) and then drive the car all the way to southern Sweden. The project seemed too big for me. So I had to say no thank you. And it didn’t take long before my economical situation had changed, when our radio show made a tremendous success. I had stopped myself and the opportunity was missed. And no, I didn’t buy the Landsdown model in time either! By the way. 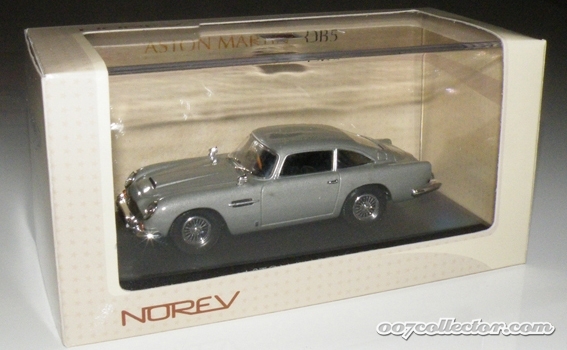 There was an ‘Bond’ style Aston Martin in the garage too. At ‘about’ twice the price for the AC! Some forty-seven years ago (1971), I was ready to buy my first real car. It just had to be something different. 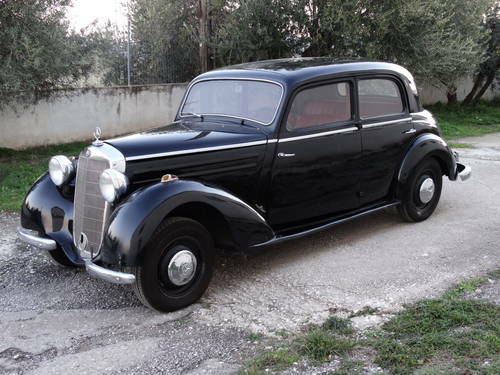 I found a Mercedes-Benz 170 S – yes, a 1950 cab – on sale at around three-four thousand kronor, say three hundred UK pounds at the time. Since I then, as now, knew nothing about the technicalities of cars other than how to feed and drive them and about their history; I asked my good friend to join me when I looked at the wonderful object. He was a born engineer, so I could rely on him. So I didn’t. Since then, I cry every time I see such a car. Instead, I bought a ‘Glas’. Nice, fast and rare, but worthless in quality. It only lasted 8 months. 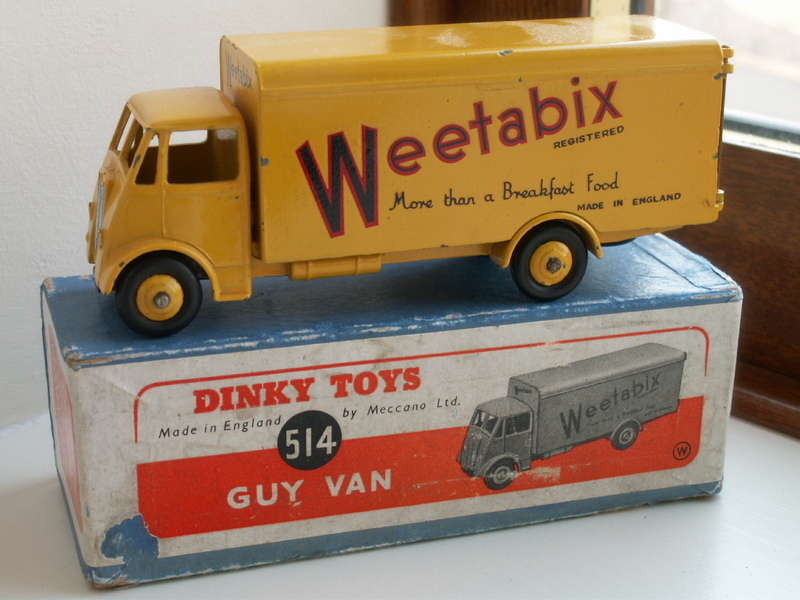 In the early 1980’s, I missed several Dinky Toys Foden vans then sold for nothing – if you compare to today’s prices – because I thought the price was to high. This was in the early days of my collecting career when I had just discovered the hidden treasures in my mother’s attic. 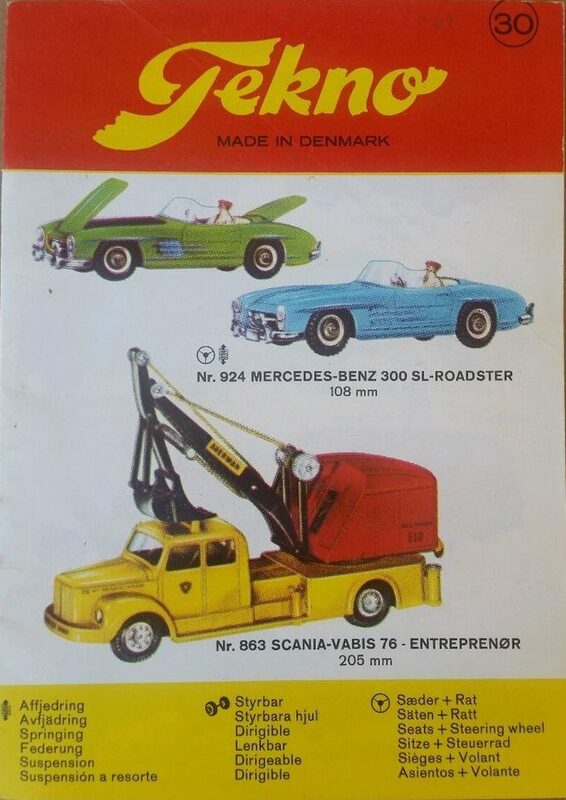 I, then, wasn’t even sure about the value of Dinky Supertoys since we never played with the big ones as kids. They were too expensive for our pocket money and even for our parents to buy as Christmas or birthday presents, I guess. Certainly too expensive for us to buy. Hence the lack of nostalgic feeling. A distant relative offered me a couple of well played Super Toys for free. ”I don’t collect them”, said I. As the years go by, the offered collection has grown in quantity and quality. In my mind. ”How many Foden lorries, Guy vans … did I miss?” I ask myself . While thinking of it. We – four brothers – had lot’s of Dinky’s, Tekno, Märklin trains and such. Much was given away to younger relatives when we where teenagers and didn’t care. Nice gestures. The question is: How stupid can you get?! Editor: I am sure that we all have memories of ones that got away. Things we saw but didn’t buy and have never seen again, or even nowadays ones that we lost eBay auctions for. Maybe other readers would like to share their own experiences! In my case I regret not breaking the Bank to buy several Pathfinder models which are now so expensive I will never be able to afford them. All photographs and text by, and copyright of, the Author unless otherwise stated. 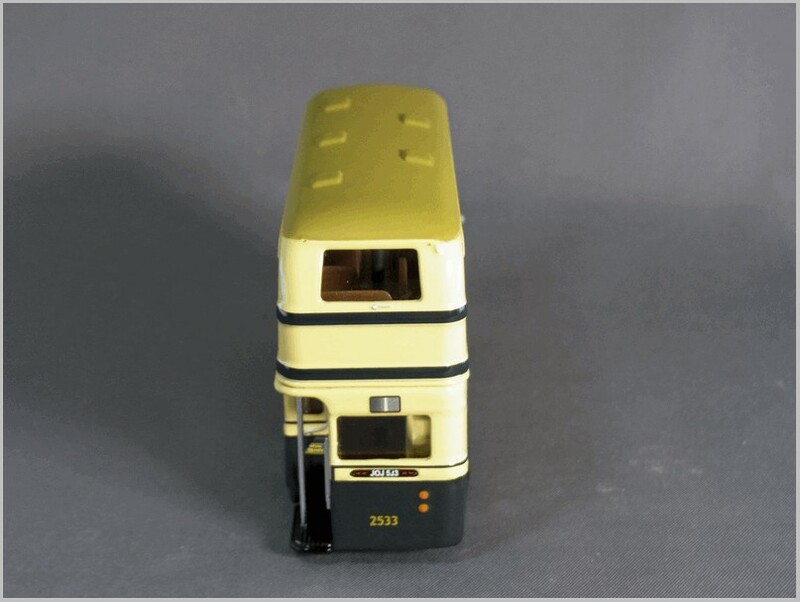 Forward Models make a small range of buses to 1:76 scale. They started off as a crowd funded company issuing bonds and have released several models since 2016. Initial releases were all Birmingham Buses, ‘Forward’ is after all the motto on the City’s crest. 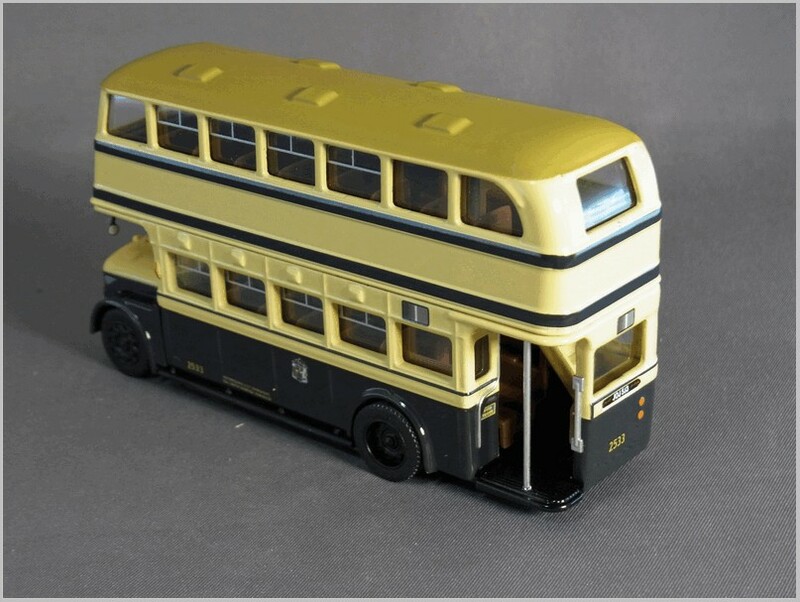 These were produced in both the Birmingham City Transport livery and the West Midlands Transport Executive (WMPTE) livery that followed. After that buses in Manchester, Hull, Newcastle, Glasgow, and Edinburgh liveries have been produced. Here we look at #NGS-01 which is in Birmingham City Transport livery operating service 1 from the City to Acocks Green. A route that the Author was familiar with having spent his student years in Birmingham. This is one of the earlier releases from Forward Models and is based on a Guy Arab Chassis powered by a Gardner 6LW 8.4 litre 6 cylinder diesel with a body built by Metro-Camell. 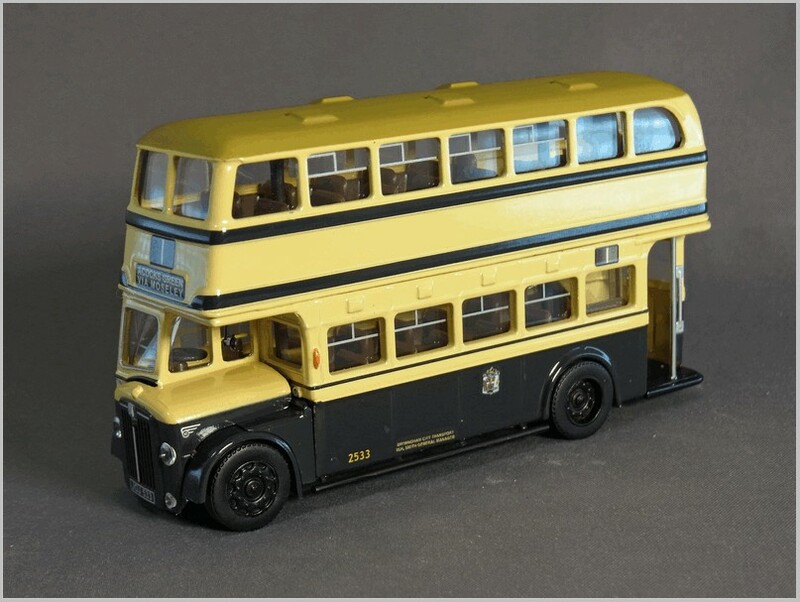 This bus was the last of the ‘new look’ buses to be withdrawn by which time it was operating on the outer circle route, number 11, which retained two man operation longer than any other due to the need to get people on and off quickly on this congested route. Today the bus can be seen in Wythall Transport Museum. The model from Forward is held together by long screws creating unrealistic poles through the centre of the lower and upper decks a similar solution to the one used by EFE. 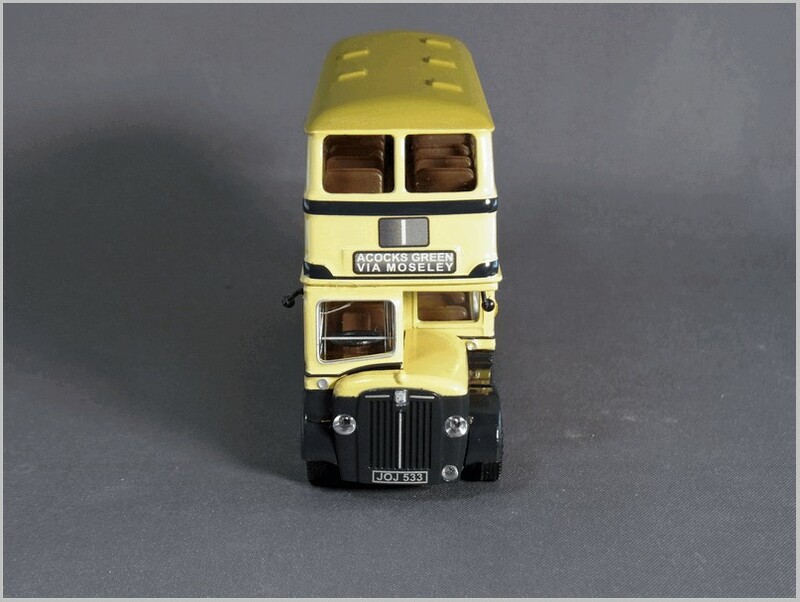 It also suffers a little from the bonnet and tin front being made as a separate part so different radiators can be fitted to the same basic body as Birmingham operated Guy, Daimler, Leyland and others. This front section does not quite match up with the body paint making the separate section obvious. The Birmingham livery is well painted and generally well masked. The opening window sliders are printed neatly and correctly on only a limited number of windows. The rear platform is also neatly detailed with all handrails picked out and even the used tickets bin signage included. To the rear the funny arrow shaped indicators either side of the number plate are nicely printed. As the photograph shows the Birmingham crest and operators details are clearly printed. The wheels seem fairly accurate, but the plastic for the wheels is a little too shiny perhaps. The bus in preservation has small silver cover on the centre of the front wheel hub which is not shown here. The ‘new look’ front is well captured with all the destination and route blinds well realised and neat mirrors fitted. On the radiator an impression of the Guy badge and the Guy name are printed as well as the other chrome embellishments to be seen on the real bus. However, the Indian ‘ceremonial bonnet’ that should be fitted above the badge is represented only by a raised ‘hump’ and is not printed on which is a shame. The lights are neatly made separate lenses, though the side mounted indicators are painted on moulded ‘humps’ in the casting. The fleet number dominates the rear of the bus all the better for the bus inspectors to spot the bus for entering into their logs. On the roof the ventilation pods are moulded in and the correct matt darker colour roof is painted on. 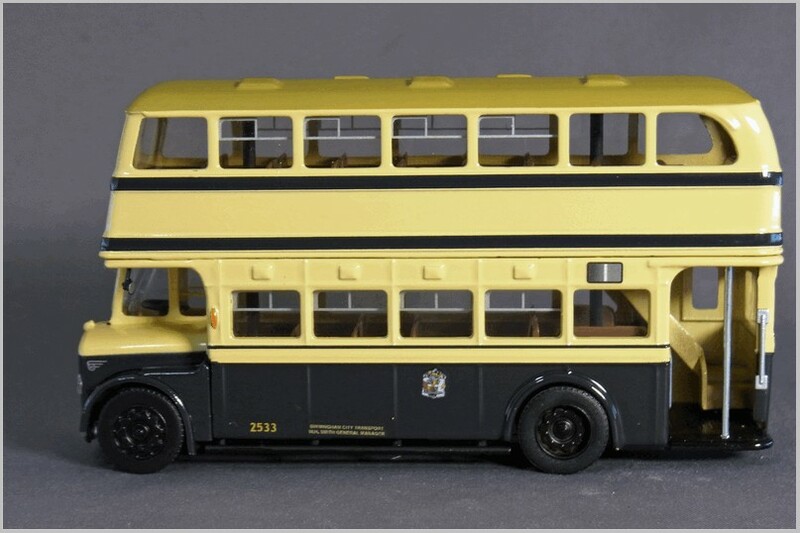 Despite the a small number of criticisms I think that it is a nice model of a classic Birmingham bus from the era when car ownership was lower and the bus was the main way for most people of getting round the City.